Wolf Kanat's commitment to craftsmanship is uncompromising; as evident in its bias Herringbone Club striped silk tie. 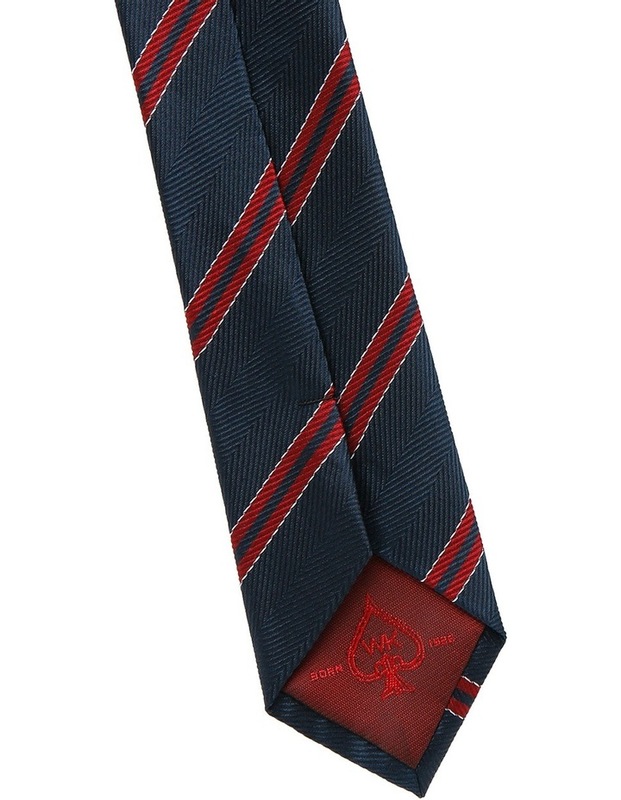 The construction, design and attention to detail ensure a perfect knot and drape whilst injecting character and refinement to your look. 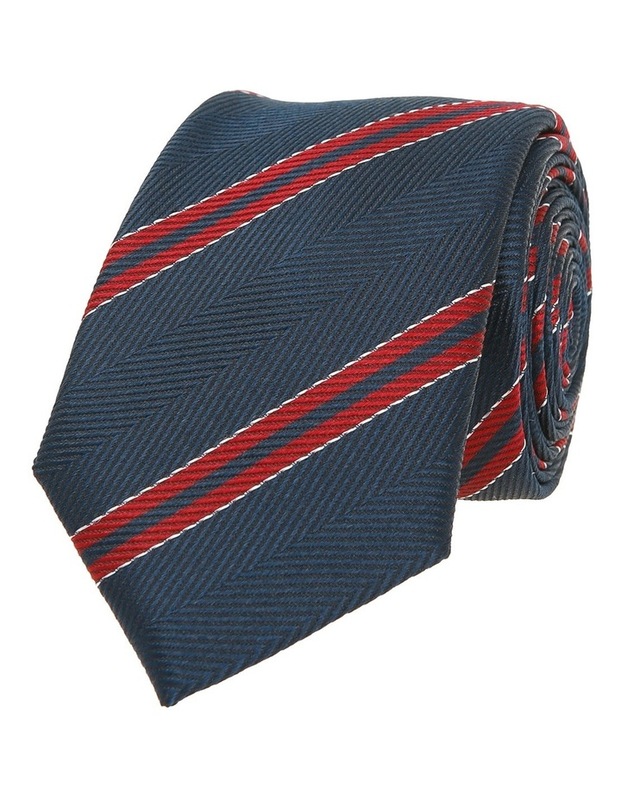 The navy, red and white stripe adds both contemporary and traditional elements to your style. 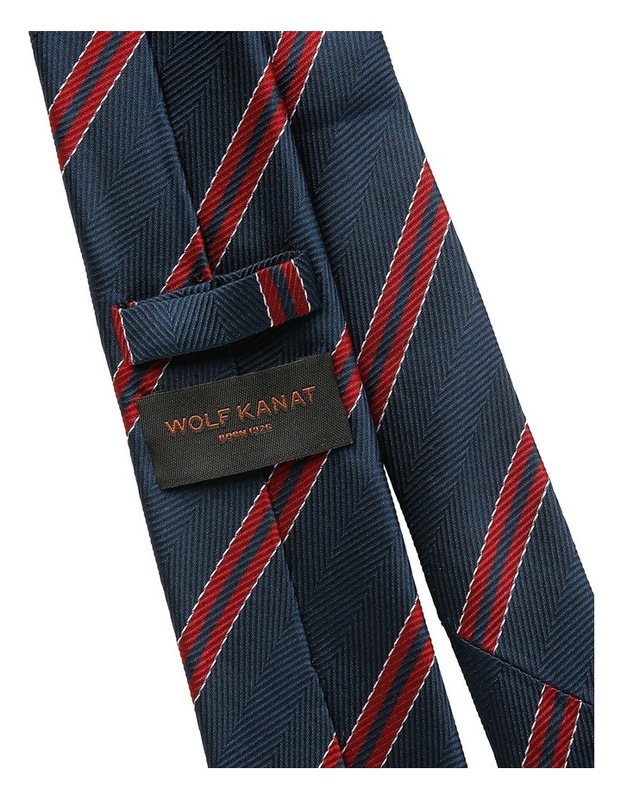 The style works back perfectly with the Wolf Kanat tailored collection and ensures the sharp, considered and sartorial style required to set the right impression. Wolf Kanat was born in a place that crushed individuality, which bred a deep and personal revolution of ambition, broad horizons and a freedom to achieve. This personal struggle and migration to Australia lead to the establishment of the formal menswear manufacturing business and brand in 1926. It is with this resilience, strength, and spirit, that the Wolf Kanat brand and our values are defined.